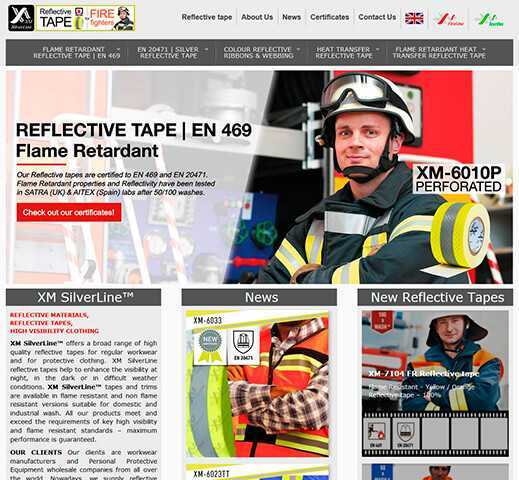 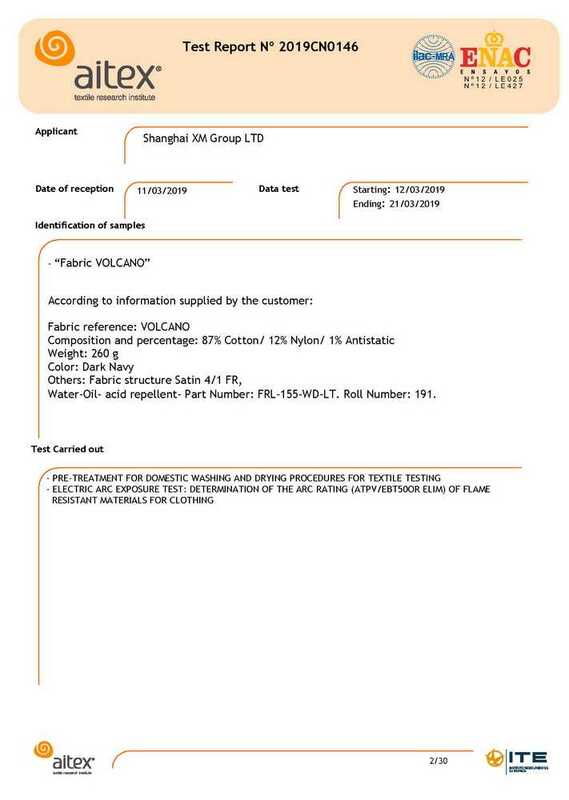 January 2019, AITEX lab (Spain) has tested and certified flame retardant fabric Volcano to EN (IEC) 61482-1-1 (Electric Arc). 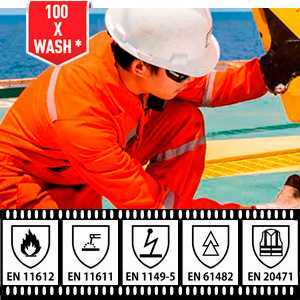 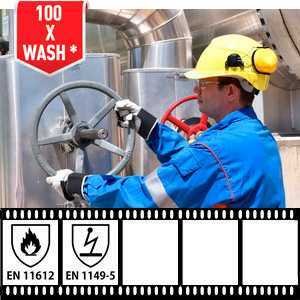 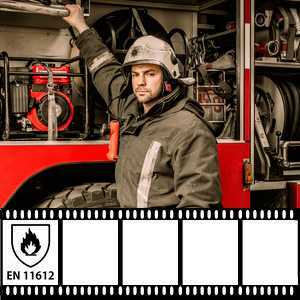 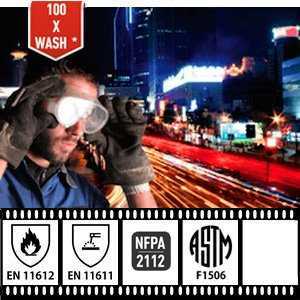 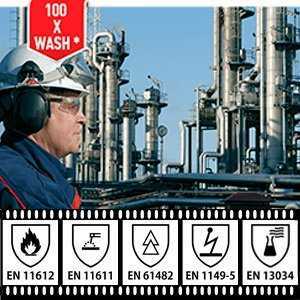 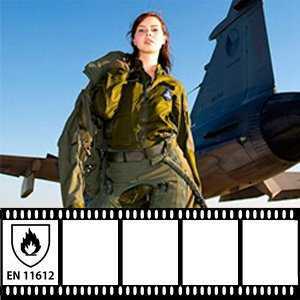 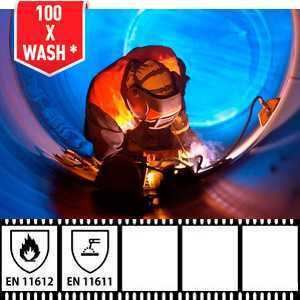 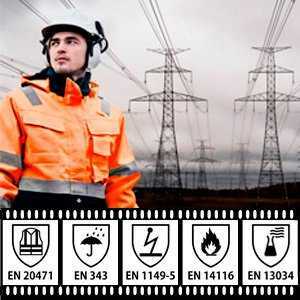 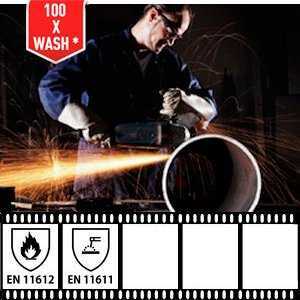 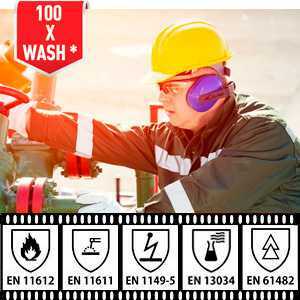 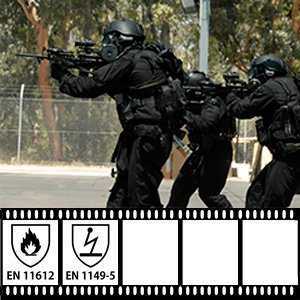 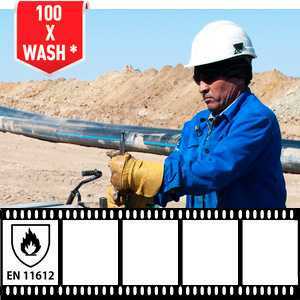 EN (IEC) 61482-1-1 is a safety standard for Protective clothing against the thermal hazards of an electric arc. 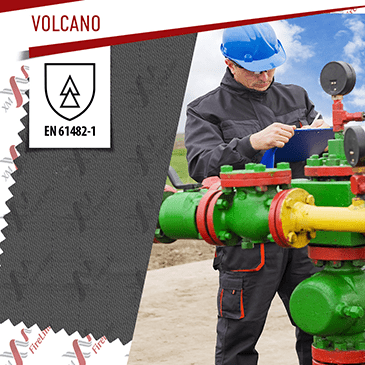 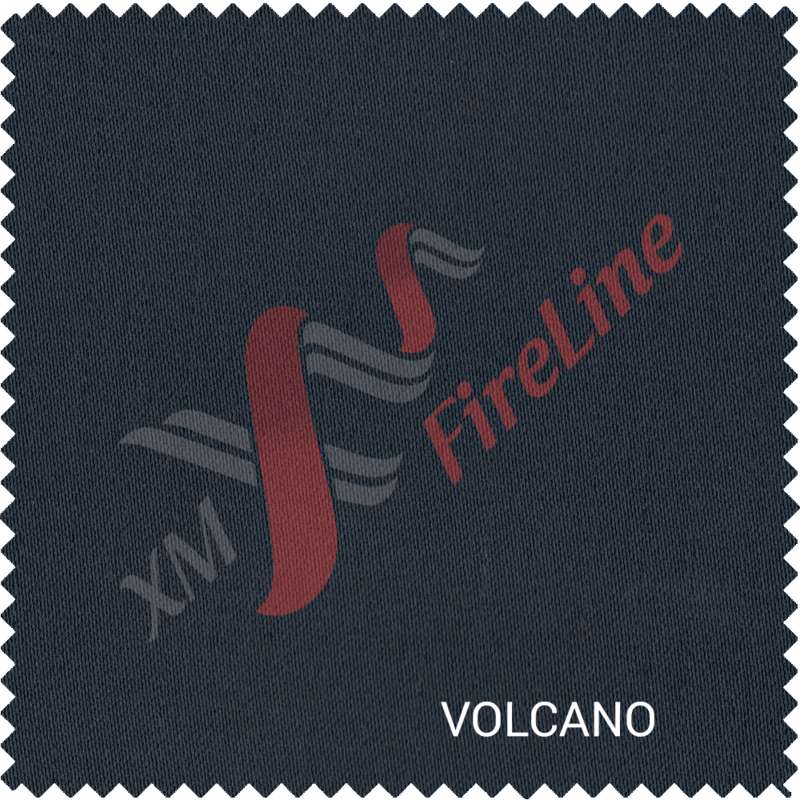 FR fabric Volcano has been tested by Method 1 (Determination of the arc rating (ATPV or EBT50) of flame resistant materials for clothing). 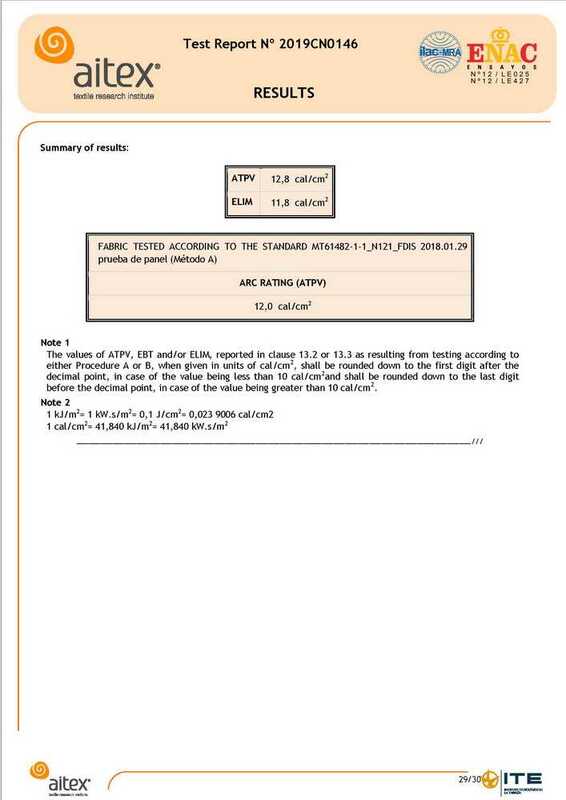 This test method measures the ATPV value or EBT50. 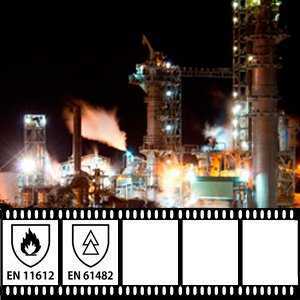 At this redaction of the Standard theri a new Value ELIM (Energy Limit Value) that is defined by the as “the numerical value of incident energy attributed to a product (material or clothing), below which all product responses are below the Stoll Curve and without breakopen”. 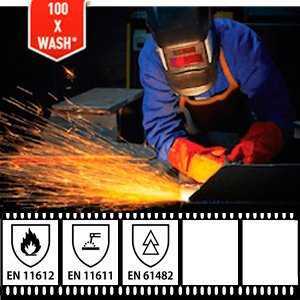 The ATPV value is the value (in cal/cm2) that predicts a 50% of protection against a second degree burn. 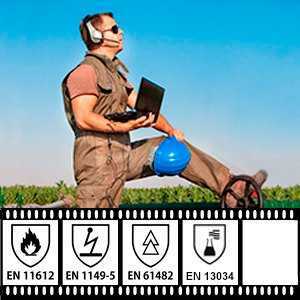 The higher the value, the better the protection. 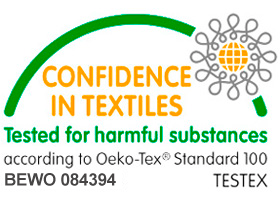 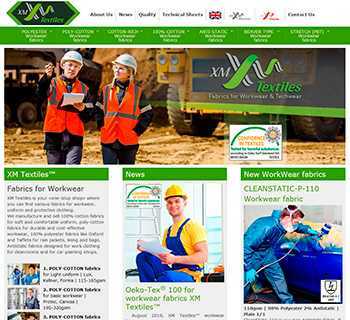 The fabric / garment should have a minimum ATPV rating of 4 cal / cm² according to this standard. 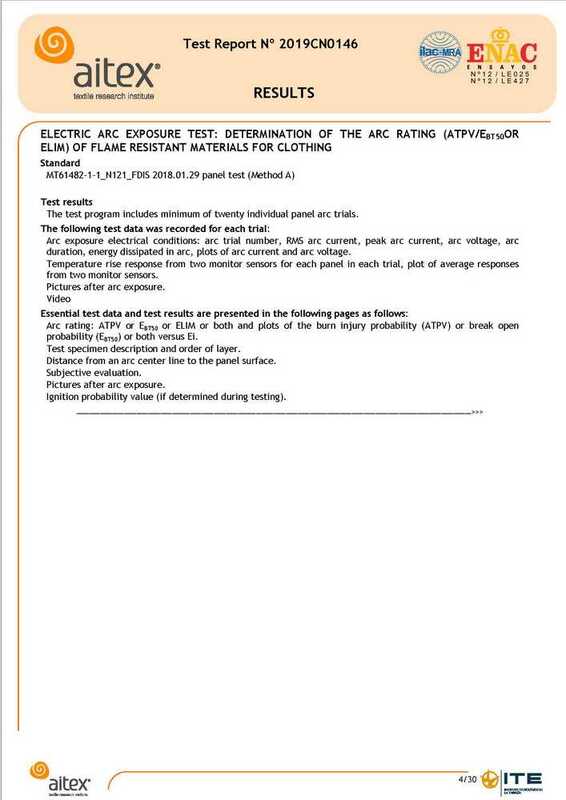 The “Open Arc” test method is the same as the original North American method for measuring the Arc Thermal Performance Value (ATPV) as used in ASTM F1959. 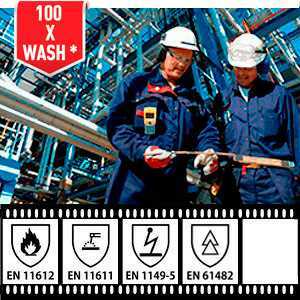 Multi-risk properties confirmed by ISO 13034 certificate. 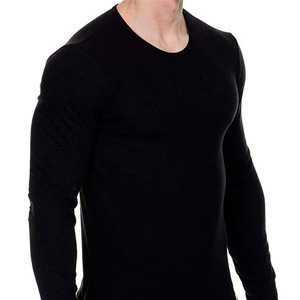 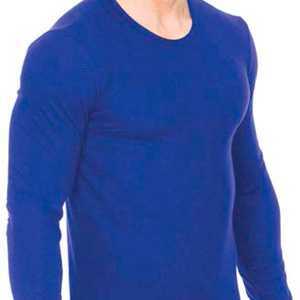 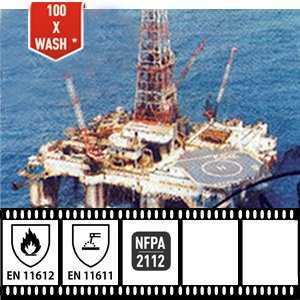 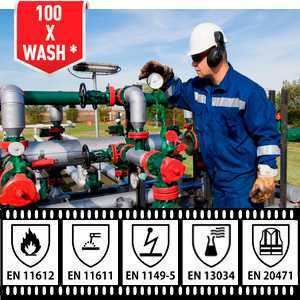 It is an excellent choice for FR-clothing of oil and gas companies, operating in a warm or hot climate. 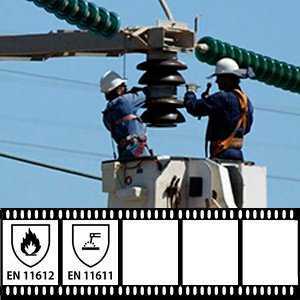 – Arc exposure electrical conditions: arc trial number, RMS arc current, peak arc current, arc voltage, arc duration, energy dissipated in arc, plots of arc current and arc voltage. 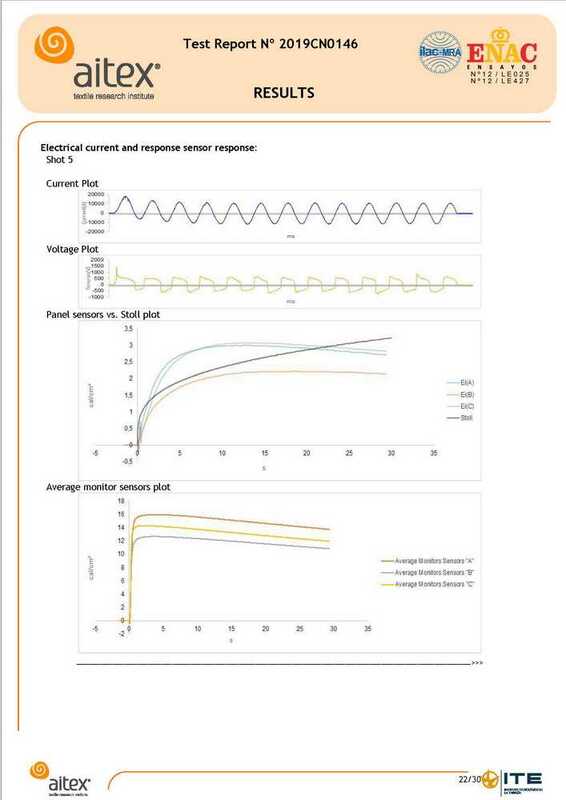 – Temperature rise response from two monitor sensors for each panel in each trial, plot of average responses from two monitor sensors. 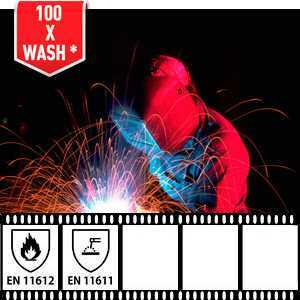 – Pictures after arc exposure. 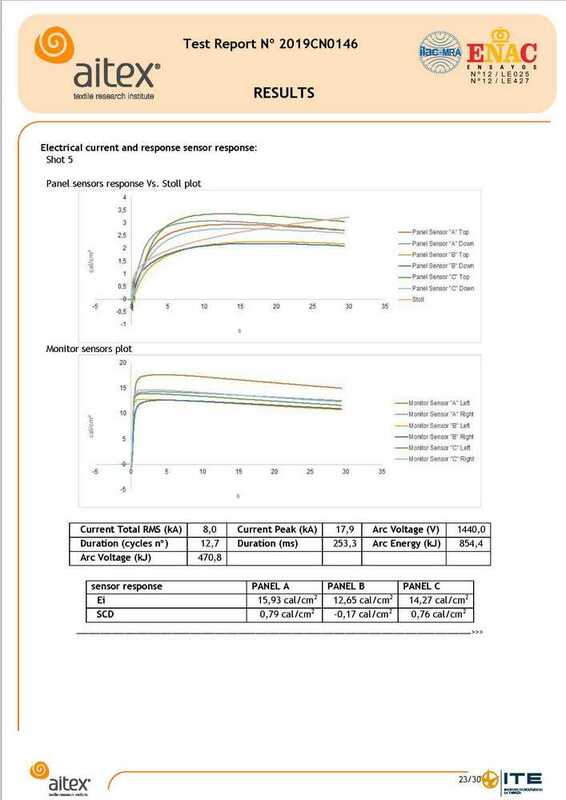 – Distance from an arc center line to the panel surface. 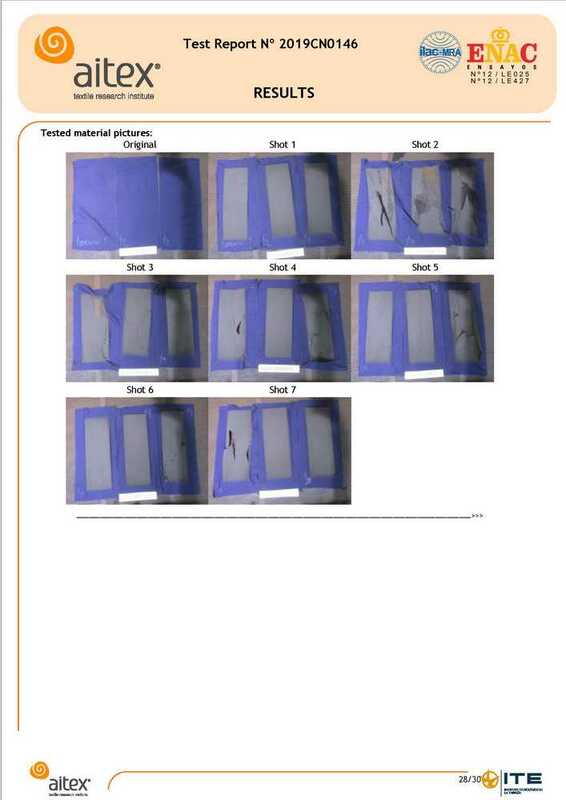 Subjective evaluation. 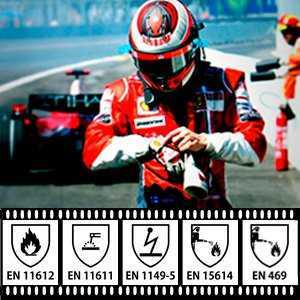 – Ignition probability value (if determined during testing).